Being arrested for a DUI in Kirkland can be an embarrassing experience. If convicted, your life as you know it, and your future, will be seriously impacted in countless ways. In Washington State you can be arrested for a variety of drunk driving crimes. These include being charged with a minor DUI, a physical control violation, a felony DUI, and a marijuana DUI, among others. A majority of the Kirkland drivers our DUI lawyers represent don't consider themselves to be criminals, and we don't view them that way either. Here at the Law Office of Jason S. Newcombe, we recognize that sometimes honest, hard-working people make mistakes and are eager to move forward with their life. This makes it very important to take whatever steps you can to minimize the damage a DUI crime can cause. Hundreds of DUI cases have been resolved by our Kirkland DUI attorneys in the State of Washington, both for first time offenders and those with prior DUIs. Most drivers arrested for DUI-related crimes had no intention of breaking the law. They just want a second chance without being forced to go to jail or lose their driver's license. Prosecutors tend to seek harsh punishments for persons charged with DUI crimes, which is why it makes sense to seek help from our qualified Kirkland DUI lawyers. They are out for convictions, and you have to fight harder than ever for reductions or dismissals. If you end up being convicted of a first-time DUI, you could face penalties that include fines totaling up to $5,000, 364 days in jail, and a driver's license suspension. Leniency from the court will be especially hard to obtain if you have previous convictions or if there was an accident involved. Our King County criminal defense lawyers will do everything legally possible to minimize the consequences of your Kirkland drunk driving arrest. 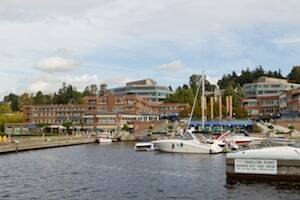 With decades of combined experience handling drunk driving cases in Washington State, our Kirkland criminal lawyers are well suited to help you navigate this often complicated process. After being arrested for a DUI, you will be eager to resolve your case, yet still worried about the potential outcome. If you feel as though you are not guilty of the crime for which you're charged, knowing how to handle your Kirkland DUI may be particularly confusing. 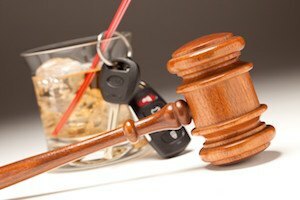 A positive resolution from a Kirkland DUI case often means different things to different people, and many simply want to maintain their driving privileges and stay out of jail. Talk to one of our Kirkland DUI lawyers today, free of charge, and start getting an idea of how a defense may be constructed in your case. For example, it may be possible to have your Kirkland drunk driving case dismissed if you were pulled over by the police without just cause. It may be possible to have your charges dismissed or reduced if your BAC (blood alcohol content) was measured by a device that was not calibrated according to Washington State regulations. If you travel across the US/Canada border to our north for work or some other reason, you should realize that a DUI conviction will likely mean it's no longer possible to make the trip. For some Kirkland residents, this could make a DUI conviction even more detrimental. A number of other factors could be relevant to your Kirkland criminal DUI case, so please schedule a free consultation with one of our experienced litigators without any cost or risk, and decide whether you would benefit from professional legal guidance.